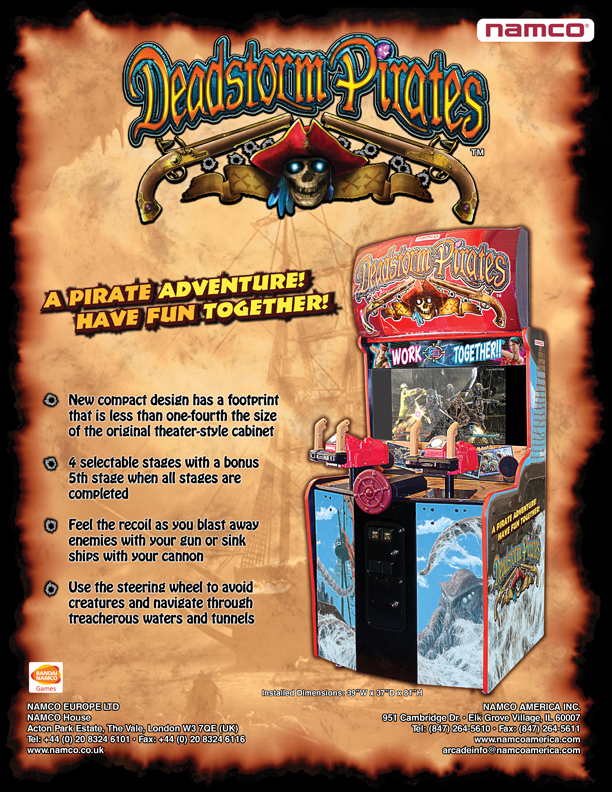 This upright version of the arcade hit, Deadstorm Pirates, has a footprint that is less than one-fourth the size of the original "theater cabinet" design. 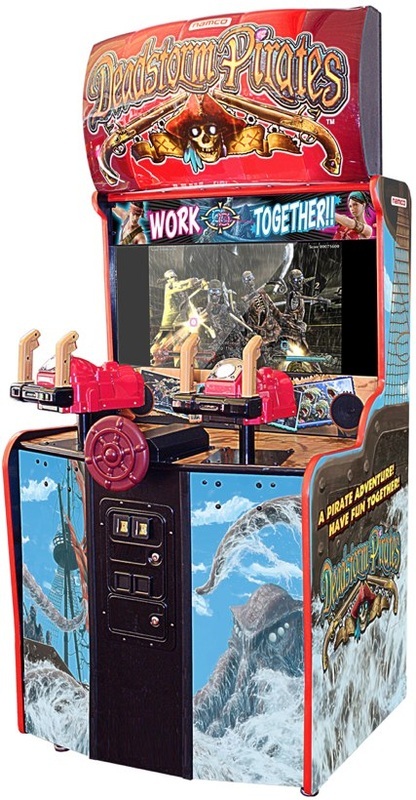 The smaller size cabinet will open up many more location doors for this exciting game. Deadstorm Pirates is an amazing game where the player is immersed into the wonderful pirate story. You don't just play the game, you're in it! Unlike traditional shooters where players have to follow a set storyline and path, Deadstorm Pirates has 4 selectable stages giving players a fresh new adventure with each play. Play the game in the order you want.